Anything to do with SEO or link building is often enough to make any marketer feel a little nervous, as it is out of many people's comfort zones. The art that is SEO is ever evolving, and it can be difficult to feel like you have all the right information and are doing the best things for your business.The truth is, though, the importance of SEO - and in particular, building high-quality links, has never been higher: It's essential if you're going to thrive online. Keep reading if you're ready to here my 7 link building tips to improve SEO in 2016. According to Moz, link building is 'the process of acquiring hyperlinks from other websites to your own'. It's an important and challenging SEO skill, which needs time and carefully crafted, engaging content that other sites will want to link to. Gone are the days where you could build thousands of spam links and watch your site climb to the top of rankings; search engines now value quality over quantity - but getting quality links from relevant and authoritative sites is anything but easy. Not easy, but also not impossible. Are you looking for more search engine traffic to your site? The answer to this should always be yes. Think of what that traffic could do... the increase in leads, sales and revenue for your business. So, if your answer is yes (it should be), link building is essential. We always come back to the power of keywords. As I've said in many of my previous blogs, keywords must be at the heart of all the content that you create, and the same is for link building. For link building, quite simply, use the keywords that you want to rank for as the anchor text pointing to your site (the anchor text is the visible, clickable text in a hyperlink). But be careful, you don't want to 'keyword stuff' your content, always make sure that it flows naturally. 4. Real, or no real? Real links or fake links; what's the difference? 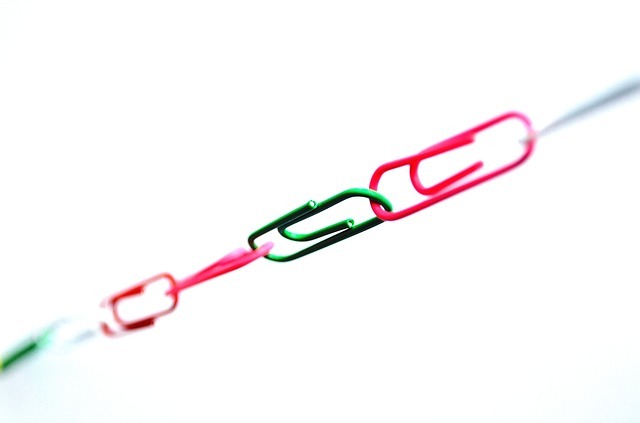 The real link is the type that search engines are really looking for. These happen when the owner of a website sees value in what yours has to offer, and creates a link to it. But, truth be told, often search engines can't really tell the difference between those that are real, and those that are fake. What is the perfect link? You can't always get what you want, and any link is better than no link. But if we could define the absolute perfect link, this is what it would be: A text link rather than an image link, so that you can use your anchor keywords and aid your site's ranking. Where this link comes from matters too - a site that is related somehow to your industry is of much higher value than from a site that is entirely disconnected. And how can you go about getting links from relevant sites you ask? This is where you contact a site where you feel you could add content that's valuable to their audience, and suggest that you write something for them as a guest post. Within this guest post, you can include a link back to your site. Although it takes time, links are incredibly valuable and definitely worth the time and effort. It's time to build links! Where are the obvious, easy locations that you can get links from? Think about local, or industry related directories that you could have a listing in. Or do you know anyone that runs their own blog, would they be able to write an article and link to your website? Or even your friends and family. You might struggle to come up with any target sites at first, but if you sit down and browse for a while, you'll soon come up with some likely candidates that you will get you started. People buy links: In fact, link purchasing is a huge business, which is a problem for search engines. More often than not, you end up with great links pointing to a not so great site, and of course, search engines really don't like that - and if they discover you've been using black hat SEO techniques, they will penalise your site for it. While it's difficult for search engines to work out whether links are organic or purchased, it's down to you to decide whether it's a risk you would want to take, and is not something that we would recommend. So how are you feeling about SEO and link building now? What you can take away from this blog post is that building the right, authoritative links, and enough of them, takes time and effort. But to rise up those rankings, it's what you need to do. And don't be afraid of SEO, it really isn't as scary as it seems. Do you need any help with your digital marketing strategy? Download our eBook below and learn how to increase your B2B digital marketing ROI.